For a lot of rural dwellers having seasonal vehicles — cars for summer roads and older, sturdier 4-wheel-drives for the winter months — is not uncommon. It’s also not uncommon for mice and other rodents to take up residence in vehicles during the off season. Particularly in winter when they need someplace to hunker down. Unfortunately, these tiny, furry critters are capable of wreaking havoc on mechanical components and interior upholstery. Which is why car owners need to be constantly vigilant to make sure mice and other rodents are not nesting in the myriad of small spaces and cavities in a vehicle. Those spaces become even more desirable rodent real estate if a vehicle has been recently driven and those spaces around the engine are toasty warm. “Mice can really find that quite inviting,” Dill said. What do mice do to a car? Once inside a vehicle, mice and other small mammals can become more than a simple nuisance, they can create dangerous situations. Mice and other rodents will build nests or store food in spaces like air filters, Michaud said, often packing materials in so tightly they disrupt or block the airflow through the car’s filter and create vehicle performance problems. 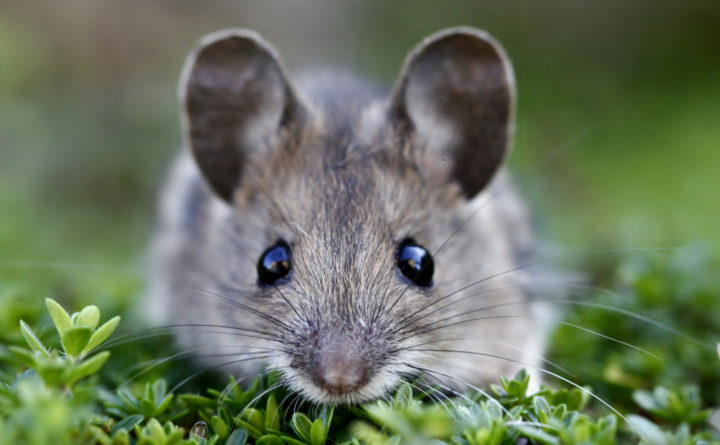 And while Michaud’s never seen it, online sites devoted to rodent control like JP Pest Services in New Hampshire do reference the danger of mice or other vermin chewing through a vehicle’s hoses that carry vital liquids like brake fluid, transmission fluid or coolant and causing leaks. These leaks can mean loss of breaks, steering or a vehicle’s overheating. Do mice create a mess? At the very least, mice or other rodents living in a vehicle can create a mess, according to Michaud. That unpleasant smell is the result of the animals’ waste accumulating in the engine, in vents and even in the upholstery as they chew their way in to make nests in the seats or carpeting. Smells are also created by the rodents’ food caches of seeds, nuts and other edibles they gather and store in a car’s crevices. How can you keep mice from getting inside a car? The best defense against a rodent carjacking is a good offense, according to Dill. That, Dill said, simply puts a vehicle smack in the middle of mouse habitat. Mice can squeeze through openings as small as the diameter of a pencil, Dill said and they will take advantage of any entry point into a parked car. Once the presence of mice is detected Dill said traps or toxic bait can be used to control or eradicate them. To prevent more mice from moving in, Michaud said he swears by Bounce dryer fabric sheets. But Michaud did say it’s a good idea to regularly check a vehicle’s air filters to make sure a rodent has not snuck in, despite traps, poison or dryer sheets. Dill said in addition to cars boats, lawn mowers, snowmobiles and all terrain vehicles can be damaged by mice and should be checked regularly. And while he has never personally had a mouse-vehicle issue, he did say he is familiar with what they can do.